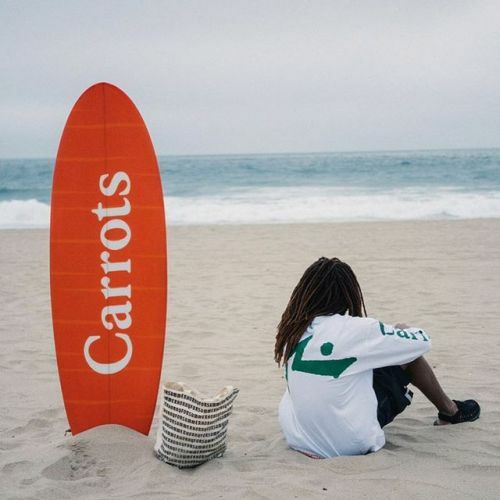 Last week, we announced the @rusty_australia x @streetx capsule collection featuring Carrots™ and today we get a closer look into the pop-up shop, which features a few additional collaborators StreetX has worked with over the years. Bringing together the likes of Chinatown Market, Blondie Beach Records, and mixed-media artist Matt McCormick, the eclectic grouping of creatives offers some in-store exclusives, as well as 1 of 1 custom Rusty surfboards. To top things off, the back of the pop-up will feature a makeshift tattoo studio with renown artists like Jose Araujo, Kane Navasard, and Soto Gang. The pop-up will run until May 30th, so head over now to check it out and cop some exclusives.